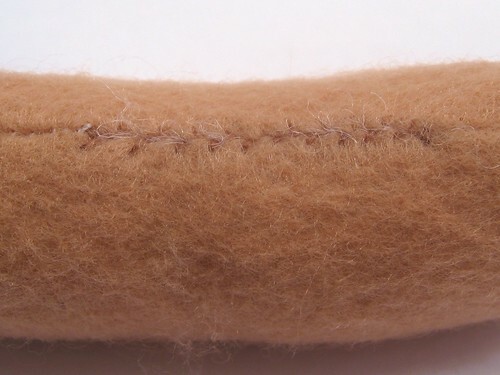 While in the midst of creating a tutorial for the most awesome of felt sausages, it occurred to me that I was writing a tutorial within a tutorial. So instead of doing that, I'm going to break them apart. 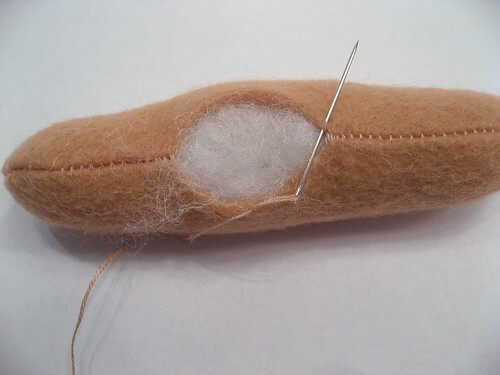 Here is a tut on my favorite way of stitching shut a softie. 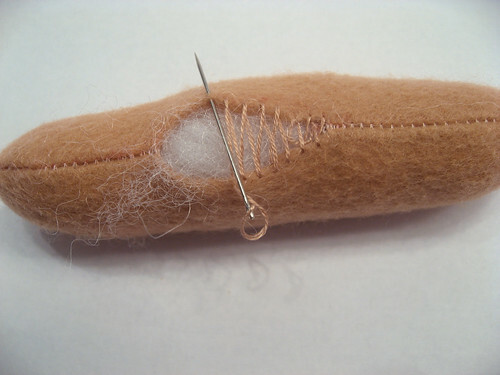 It's the baseball stitch. Ohhh nice ! Thank you, my son's teddy will now be repaired better then ever ! Oh this is fantastic! I would love to link to this if you don't mind. Thanks for the easy to follow photos. Those are really clear photos! I'm absolutely going to use that technique myself now. I'm totally self-taught AND work at a professional level (I haven't been caught out yet, yikes! ), so I always love these quick tutorials that I can understand just right away. 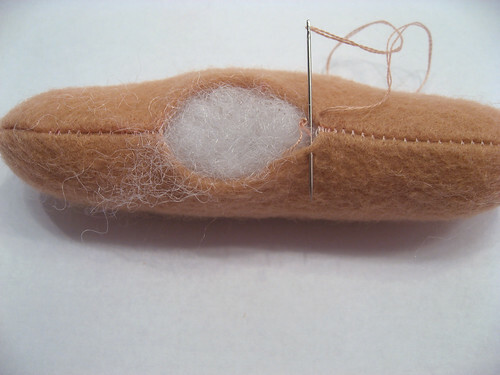 So - that little gem of a stitch is called the Baseball Stitch? Well, I'll never forget it! It does indeed close up those fabulous felties -- I've used it myself. Niiiiiice tutorial! I cannot wait to try this! Thank you! Thanks so much for the pictures! I am sooo terrible at hand sewing. Maybe this will help make my closings look nicer. The organization will be so pleased. We can finally finish the Vintage Fluffy Doll. And I can finally get on with my life. That makes so much sense now! Essentially like a mattress stitch in knitting if I'm seeing it properly. :) Will have to try it out soon. Nice clear pictures. Should help a stuffed animal in the future. Great tutorial! just posted a link on fabricaddictions.blogspot.com Love your work thanks for sharing.